SSgt Joshua Watkins, USAF, returned from a deployment just in time to surprise his son Logan, a 2nd grader at W.B. Simpson Elementary School during their annual Veterans Day program! Welcome home, dad! Please join us in the Caesar Rodney Family Literacy Program. Adults can learn to speak or improve their English skills. There is also a free family literacy program for children who are 2 to 12 years old. To learn more or to register, please click the link below for more information. All sessions are held at Allen Frear Elementary School from 5:30 - 8:30. Click here to find your bus route. This letter can be used to guide age appropriate discussions with students in grades 5-12. If you have any questions please contact your childs's principals. Download your FREE PDF reader here! and the Caesar Rodney School District is taking proactive steps to keep our buses running. we have dramatically increased our efficiency as each bus can service both sets of schools. Double runs means fewer drivers are needed and cuts transportation costs as well. to attend high school classes for distance learning experiences. or dropped by our bus contractors and their inability of finding bus drivers. times so that we were still able to provide transportation services to our families. 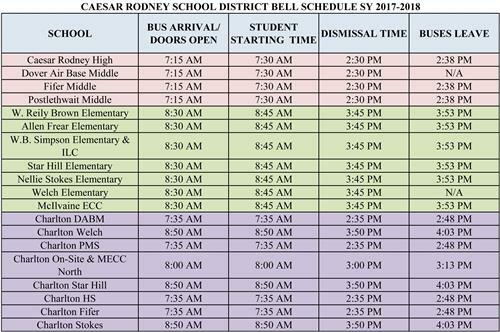 Early Dismissal Times are TBA. Please share. Thank you. "Believe, achieve, succeed... It's what we do!" We hope you and your children are having a safe and exciting summer vacation! Attached below are the school supply lists for the 2018-2019 school year for W.B. Simpson students. We also have attached the Volunteer Information Sheet for Parents/Guardians, sent to us by the district office. We hope you continue to enjoy your summer vacation, and look forward to seeing you this fall! 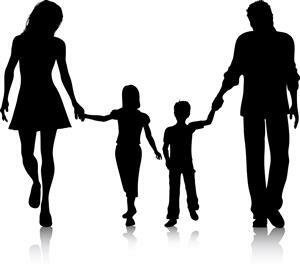 Voluntary Participation Student Accident Insurance Plans can be purchased easily online. Please click on the picture to access the link. The Caesar Rodney School District, Simpson Elementary and The PTO now have Facebook pages! If you are a Facebook user, please "like" these pages so you can receive all the latest information, announcements, calendars, and photographs of events going on in your child's school. ALS Ice Bucket Challenge Youtube video!! The Caesar Rodney School District is an Equal Opportunity Employer and does not discriminate in employment or educational programs, services or activities based on race, color, religion, national origin, gender, age, veteran or marital status, disability, sexual orientation, gender identification or genetic information in accordance with State and Federal laws. Inquiries about compliance should be made to the Title IX, District 504 and ADA Compliance Officers: Paul L. Dunbar Administrative Building, 7 Front Street, Wyoming DE, 19934. Phone (302)698-4800. Everyone Succeeds…No Matter What It Takes. W.B. Simpson Elementary School is committed to providing a positive school experience that ensures all students excel academically, socially, and emotionally by building relationships that prepare students for success.